Crazy, exciting things are about to happen in your life! I'm so pleased you're previewing my site, getting to know my work and considering me for your big day! I know it's overwhelming, and I hope that I can bring my experience of sharing wedding days with many couples to help calm your nerves! Below, is a link to my wedding contract. Please feel free to download and review it. Below that, is my WELCOME BRIDE PDF. It's required reading with tons of amazing information so you can start planning RIGHT NOW! Should you opt to book a date with me, I will request you complete the contract, and email or snail mail it to me. I will return the signed version at your engagement session. WHAT YOU NEED TO KNOW BEFORE THE SHUTTER CLICKS! 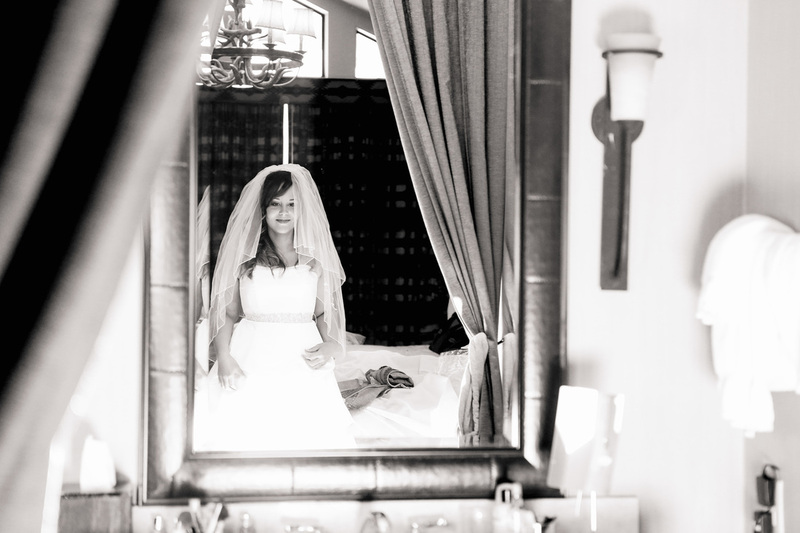 A little planning and preparation will allow you to have fabulous photos of your big day. After photographing more than 150 weddings, I've developed a set of guidelines that will assist me in doing my best work. 1. Let me know RIGHT AWAY if you wish to do a first look, or wait until after the ceremony before seeing your love for the first time. I ask that all adults in the bridal party be PHOTO READY 3.5 hours prior to wedding. Any delays may effect the images you'd like to see in your wedding album. 2. Flower girls, ring bearers, ushers and family members should be PHOTO READY 1.5 hours prior to wedding. 3. If the bride and groom wish not to see each other before the ceremony, a 1.5 hour time frame between the completion of the ceremony and start of the reception is necessary. 4. I do not mind if your family members wish to capture an image of you on your wedding day, however I will request that as I pose you or your bridal party, others refrain from photographing the images I'm creating. I also request notice if there will be other official photographers or videographers working alongside me on your wedding day so we can coordinate our workflow. 5. Encourage your guests to put DOWN their cell phones, iPads and other photographic equipment during the moments before, during and after your ceremony to be completely invested in your day. There is plenty of time for them to capture candid photographs of you at the reception. So many awesome ceremony photos I take, now have dozens of guests with their phones in the air photographing or videotaping your special moment. 6 The unexpected happens, I've learned to expect it. The above guidelines will help us successfully manage our time, and your expectations of incredible images like the ones I've gathered here for you to enjoy. Ladies, remember your right side - that is the side that will face me, and your guests at the wedding. Swooping hairstyles or flowers placed too low can shield your beautiful face from my camera and your friends and family. Again - Encourage your wedding guests to leave their cameras and phones off during the ceremony. You want them sharing your moment and involved in your ceremony. Your DJ is a CRUCIAL part of your reception. Book one that is a fabulous emcee as they will be keeping the tempo of the reception going, keeping guests interested and interactive. I suggest to my brides and grooms to do as many of their "official" activities as they can within the first hour of the reception, to avoid any lag-time and keep their party going. I've had brides and grooms enter their reception, cut their cake, and do the first dance before supper, to give their guests some excitement and keep them involved! I know a few awesome DJ's, so if you need a recommendation, let me know! I've worked with many vendors and venues, if you're stuck, please let me know! I might be able to recommend the perfect person for the job! I enjoy Pinterest as a way to explore, discover and appreciate new and creative ideas. If a future bride or engaged couple share boards with me, it is a great insight for me to determine what they find beautiful and attractive. Though as an artist, recreating someone else's inspiration takes away my creativity to a great extent. More and more I am presented with a list of "must have" photographs that excited clients with the best of intentions have found on Pinterest and I find myself explaining that I can spend my day recreating someone else's wedding photographs for you, or capture the nuances, personality and irreplaceable moments that will remind them forever of their special day together. So pin away, I'll peek, but I won't work of a list of the best 200 ideas you found while planning your big day! Your reception. You've found the perfect dress, shown your engagement ring to everyone you know and all your wedding plans are nearly complete! The reception is the celebration and the final event before you head off to your "happily-ever-after." After photographing many, MANY weddings I can share some valuable insight and my perspective on how to make that part of your day even MORE fantastic too! A lot of time is spent decorating, all those gorgeous details are important! A lot of money is spent on food, you want your guests to enjoy their time and have enough energy to dance the night away! The drinks for the toast are prepared, the DJ is ready to roll - BUT, it's really, REALLY important to think of all the other aspects of the evening, the traditional events and how they flow to get the most out of your night. So many times the reception is put on "automatic." The bride and groom arrive, supper is served and after that, everything else is tossed in the mix, wherever and whenever it fits comfortably without a plan. BAD NEWS. When you imagine your reception, you imagine people eating, laughing, dancing, celebrating, and they will-if you give them a plan to follow. Kind of like a path you'd hike on. Keep them on the path, entertained and involved and they'll follow you anywhere. Leave them too long at a rest stop, and they'll head back to their car. It's the truth, I promise. Be prompt. If dinner is to begin at 7 - be there on time. Nothing makes guests feel unimportant than waiting an unreasonable amount of time on your behalf. You are the guests of honor and they're waiting for you! I've experienced that by hour 3.5 of your reception, many guests have either gone, or are preparing to leave. A fun core group of family and BFF's will be there until the last song is played and chair is folded, but for the most part, everyone else will have politely exited to head home after their tummies are full, they've celebrated and laughed with you, and caught all the sights. **** When asked, I've recommended the bride and groom enter their reception, immediately cut the cake (so the guests don't have to wait for it to be served after they're through eating) then proceed into their first dance BEFORE SUPPER while the caterers are preparing the food tables. Prayer before supper, eat, toasts, then into the dances and garter and bouquet toss. In an hour or so, all the obligations are MET, and the rest of the night is YOURS! Everyone is still in their seats, and WHO had time to feel bored with all that going on??? Something nice to do, is play a dance favorite from your grandparents era. You'll be surprised to see the couples get up and slow dance. Have the DJ request all married couples to the floor - then as he plays a song, he asks couples to leave based on years of marriage, starting with couples who have been married less than 24 hours, all the way to the couple married the longest that attended your wedding. That's a touching "Anniversary Dance" that will make everyone cheer. If the dance floor isn't full - try a group dance - Electric Slide, Cupid Shuffle, Chicken Dance, Hokey-Pokey or the Twist. They're cliché, but irresistible! I hope this helps someone! Don't put your reception on autopilot, WORK IT!!! and you'll remember it forever!